One of the Oldest Art Schools in the U.S. 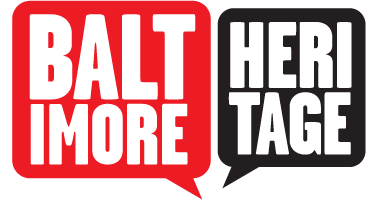 The Maryland Institute College of Art was chartered on January 10, 1826 as the Maryland Institute for the Promotion of the Mechanic Arts. 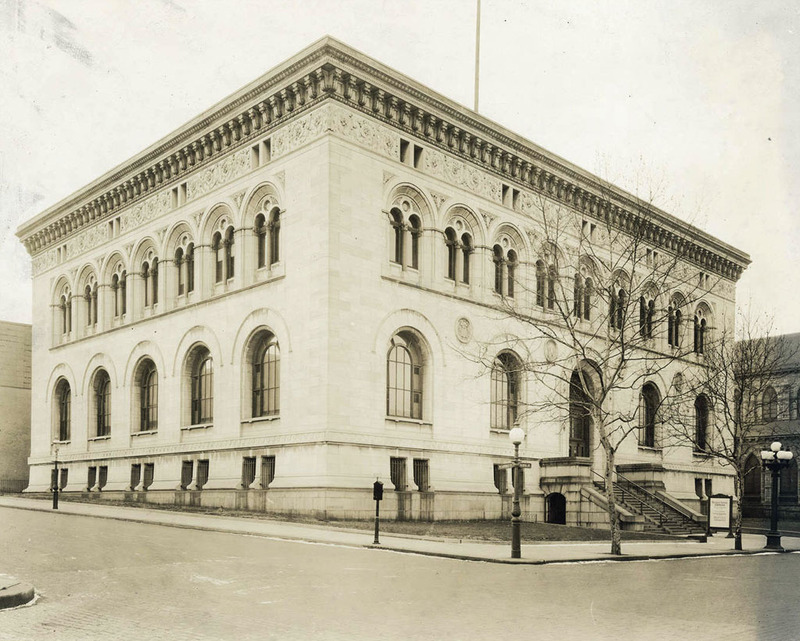 Within months, the new school began offering classes and other programs at "The Athenaeum," a lecture hall at the southwest corner of Lexington and Saint Paul Streets. Unfortunately, the Athenaeum was destroyed by a fire in 1835 and the Maryland Institute stopped offering programs for twelve years. 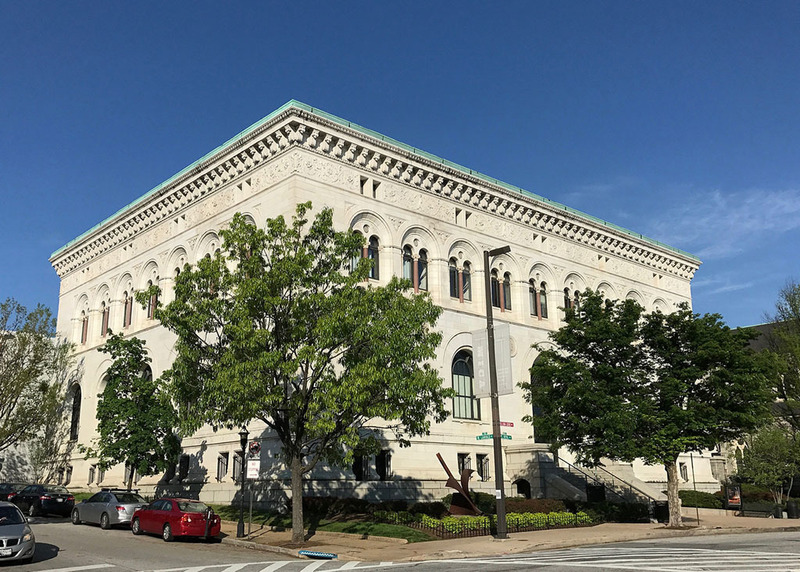 Even as the students and the curriculum changed and adapted through the end of the nineteenth century, the Maryland Institute continued to occupy the Center Market. 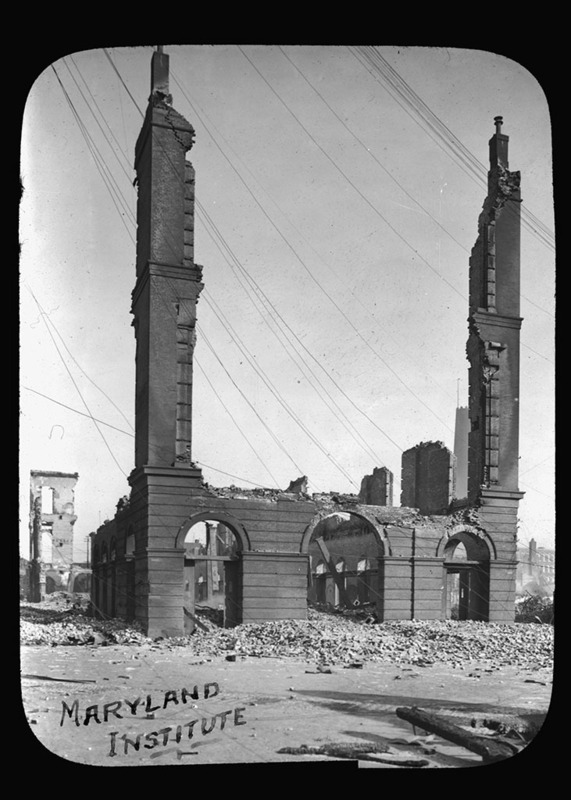 Then, on Sunday, February 7, 1904 a fire broke out on Redwood Street and spread across downtown. 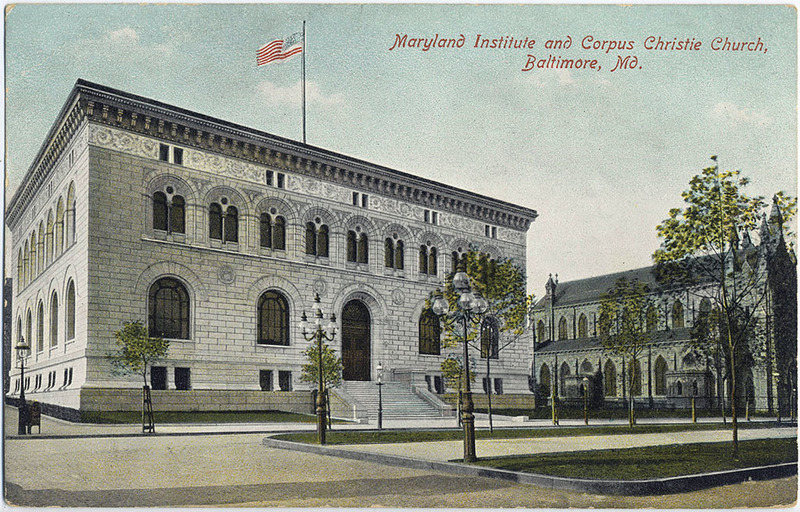 The Great Baltimore Fire of 1904 burned for thirty hours and destroyed over fifteen hundred buildings—including the home of the Maryland Institute. With help from local businesses, alumni, and faculty, the Institute started working to rebuild. Michael Jenkins, a member of the wealthy family that had supported the construction of Corpus Christi Church on Mount Royal Avenue, offered the Institute a place to build a new School of Art and Design next door to the church. 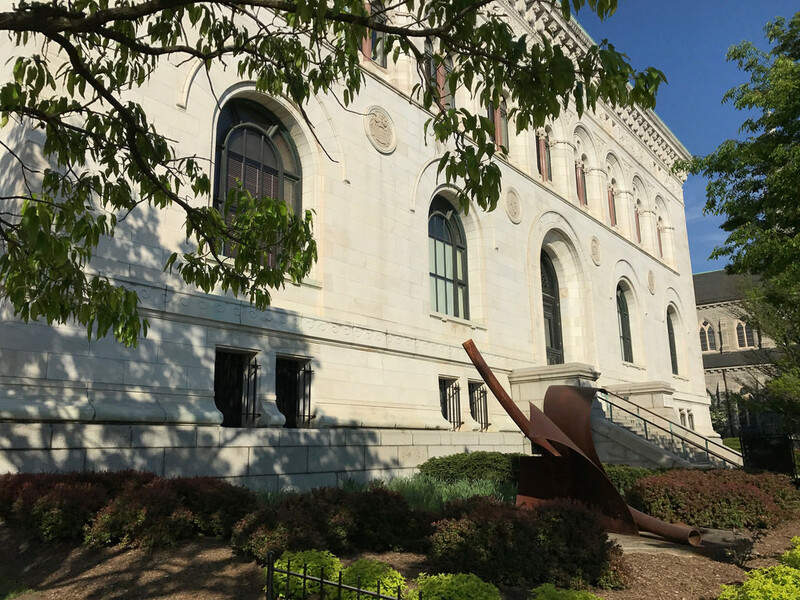 The State of Maryland and philanthropist Andrew Carnegie contributed funding and a national competition awarded the commission to architects Pell & Corbett of New York City. Inspired by the architecture of Venice's Grand Canal, the building features ornate Renaissance Revival details and large blocks of Beaver Dam marble from nearby Cockeysville. The cornerstone was laid on November 22, 1905 and the Institute's Main Building opened for students in 1907. 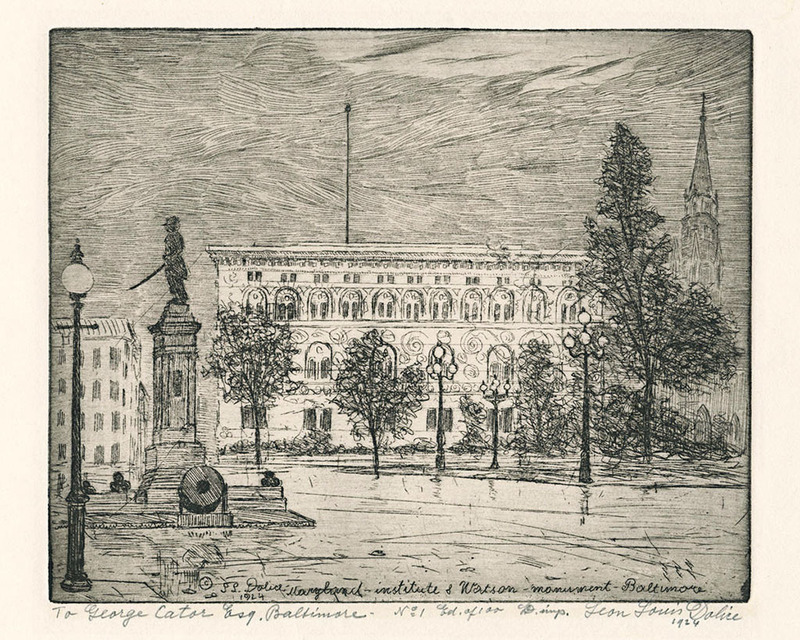 In 1959, the school adopted a new name, the Maryland Institute, College of Art, and, over the past few decades, the campus has grown to include a converted train station, an old firehouse, and a former factory. Today, MICA's Main Building is a beautiful reminder of the school's long history making it the oldest continuously degree-granting college of art in the nation. 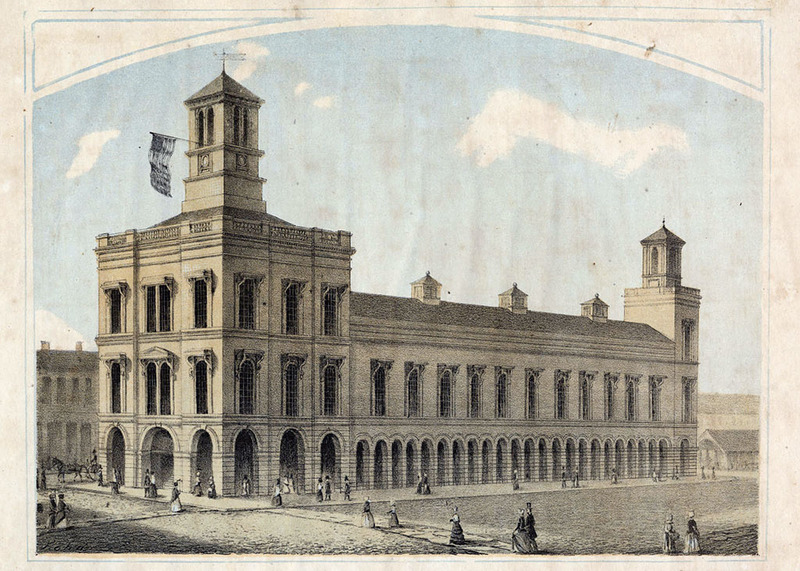 “Maryland Institute College of Art,” Explore Baltimore Heritage, accessed April 23, 2019, https://explore.baltimoreheritage.org/items/show/630. Published on Jan 9, 2018. Last updated on Nov 27, 2018.